There is no other important measure that is more fundamental to energy savings than air sealing. 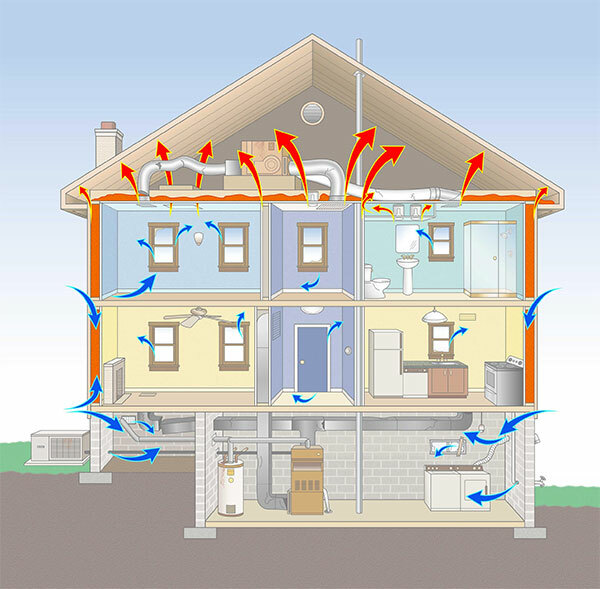 Most of a home’s energy loss is due to the porosity of the home rather than its insulation levels. Up to 30% of your heating and cooling dollars can be attributed to energy loss through unseen cracks and gaps usually found in attics, basements, duct systems, around floors, doors, windows, plumbing, and recessed lighting. In fact, when we calculate the surface area in square inches of all the structure’s air leaks combined, we on average estimate the equivalent of a 22″ x 22″ opening to the outside, 24/7. It’s like leaving a window open all year round. Materials such as sealant foams, rigid baffles, caulking, weather stripping and rigid insulation can be used to eliminate air passages in attics, basements and living areas. Aside from lowering your energy bills, air sealing will prevent ice dams, mold, mildew, and structural damage caused by excess moisture. It will reduce drafts to help insure a more comfortable home, room to room, season to season. 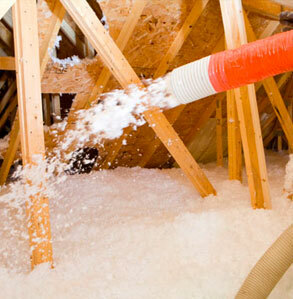 Cellulose insulation is one of the main insulating products that we use. It is an excellent product made from recycled newsprint treated with a fire retardant agent that also is rodent retardant as well. It provides great coverage, filling in gaps in all of the nooks and crannies leaving no weak and uneven spots that fiberglass will. Cellulose is generally employed in exterior walls from the outside and is also used in attic flats and slopes. When cellulose is densely packed in certain enclosed areas, it air seals as well as insulates giving it an added benefit. Spray foam insulation is another product we like to use when particular situations call for it. We always use it on basement rim joists and in crawl spaces to name a few. We may recommend its use in attic roof slopes when there is an air handler and ductwork present. Spray foams (closed and open cell types) offer high R-values and air seals as well as insulates, adding an additional benefit when installed. 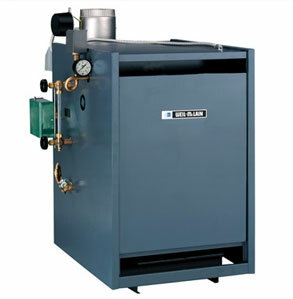 Besides the more beneficial items of air sealing and insulating, replacing aging inefficient mechanical equipment to high efficiency ones could also save you considerable money every month. It is required by our licensing standards to properly size replacement mechanicals by performing what is known as a ‘Manual J’ heat load calculation, incorporating into the calculations (remove comma) the blower door results and proposed insulation and air sealing amounts. This will assure a properly sized more efficient system likely smaller in size than what presently exists. Proper installation is also very important for the system to run optimally. Can you qualify for the HpwES rebates? Tell us about your home and we'll let you know!